My fun friends created some coloring books, there are three now and by far my favorite is Color Land Creatures. If you live in Utah, you can buy them locally at a shop in Provo called Here. Luckily you don’t need to be local to buy them because they sell on Amazon as well. While I have loved coloring in the other books as well, Creatures is a favorite because it has Halloween themed pages! Also, if you are a Fablehaven fan Steve created some coloring pages for the new Book of Imagination that just came out. 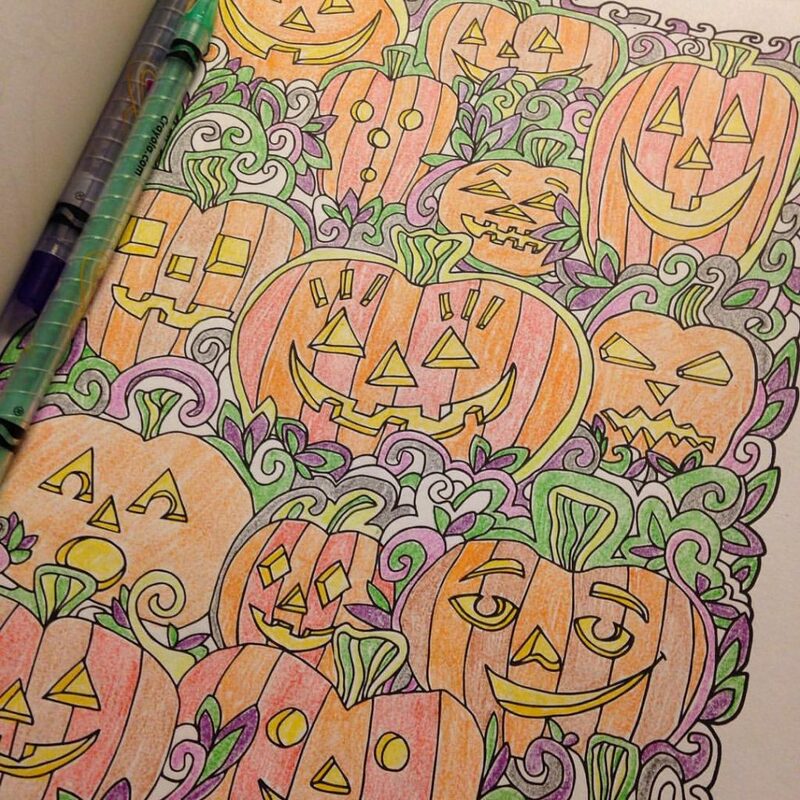 So many fun ways to relax and color! It’s hard to believe another year has almost come to a close. And yet, here we are, just days away from 2015. I’ve been thinking of my word for the year, I really enjoy the tradition of picking just one word instead of a list of overwhelming goals. Haven’t decided on one just yet though. And most importantly, the cookies. These are the recipe my grandma used to make. They will always and forever be her cookies. 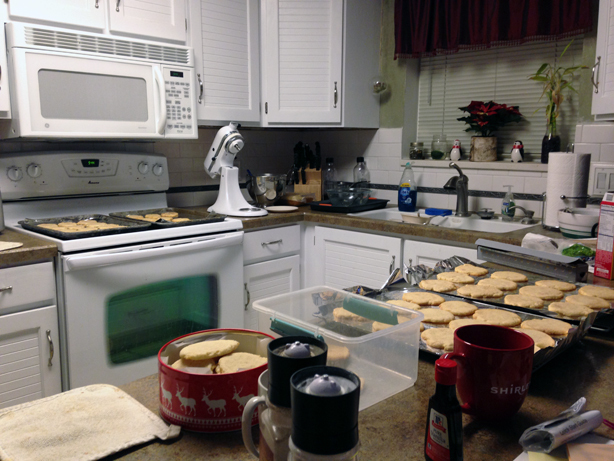 We made a special batch this year to send to my aunt and uncle in Seattle, and to give to my mom, and since it makes several dozen, we had quiet a few to enjoy too. 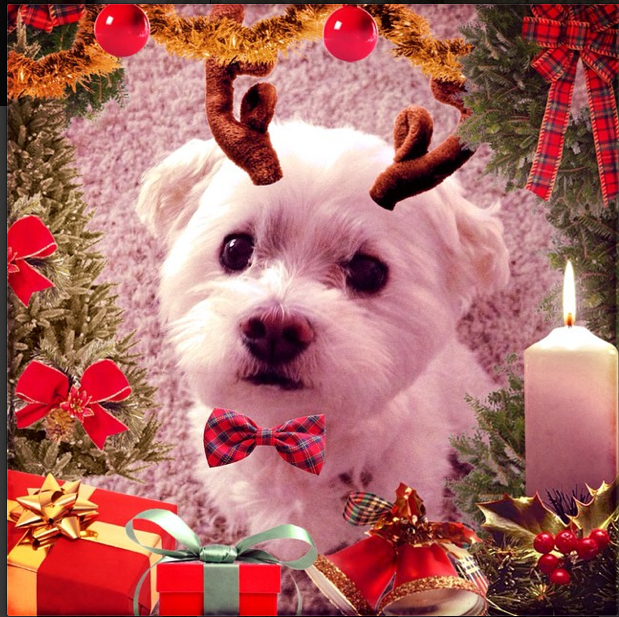 Baby is always festive, even when it’s just using a fun app. Have you tried the Lil Bub app? It was free and had all kinds of cute and fun Christmas goodies to add to your photos. I tried to add Bub in too but it didn’t work out. And last, but not least, my mom and I spent the day recreating something we made when I was a kid. 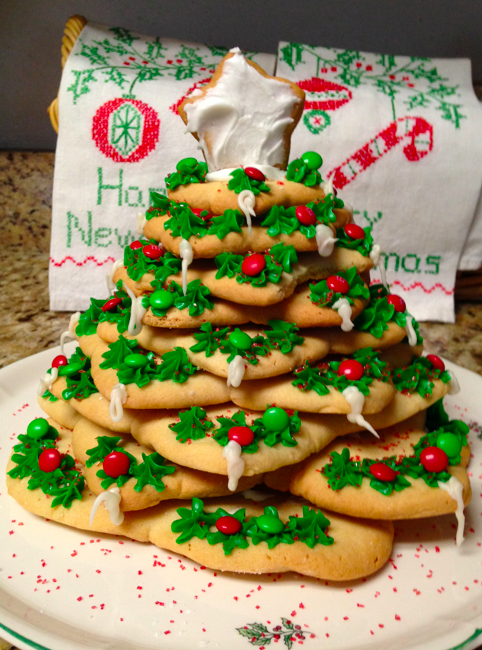 The star cookie tree! Luckily this time it worked out much better than other times we have tried it. 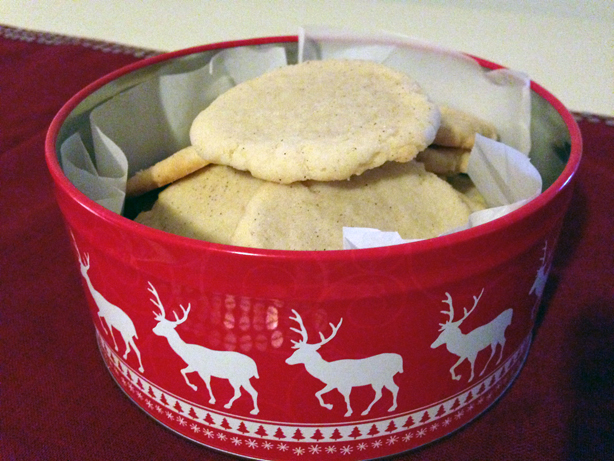 The cookies were great too (this recipe also made a lot of dough, so we had a lot of extra stars to decorate). We had the kit but had lost it, luckily there is Amazon, which has just about everything you could think of! Yes, they had the kit (and for such a good deal too). It’s been busy around here, lots of stuff going on inside the house which has prevented me from Halloween decorating. Of course, that isn’t to say nothing has happened. 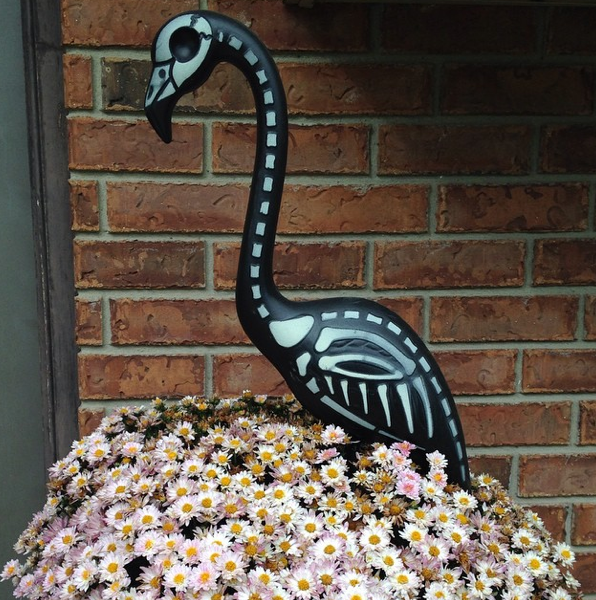 The porch is ready to welcome October with my skeleton flamingos! I was really excited when my beautiful friend, Kelli, asked if I would help her spread the word about CAOK. 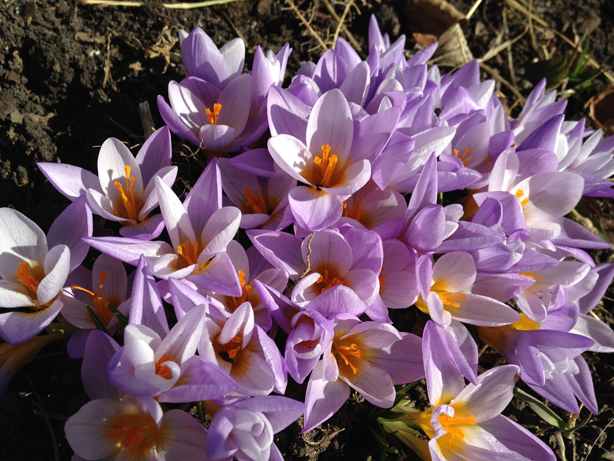 You see, she has made the days days between Lent and Easter a fun and special time to reflect on, and spread some, kindness. Who wouldn’t want to be part of that?! CAOK 2014 has started, and I do hope you will join in the fun. CAOK stands for “Calculated Acts of Kindness”. It’s a time to think of all the good in your life and find ways to spread kindness to others. Donate towels and blankets to the local animal shelter. Bake a special treat for neighbors. Send love notes to friends. Snail mail style. Give flowers just for the fun of it. Make a donation to Best Friends Animal Society in someone’s name. I have a few more ideas up my sleeve, but since blogs are public, they will have to wait a bit (and fingers crossed they turn out well too). The act doesn’t need to be big to be awesome. If you join the fun, you can share photos in the CAOK group on Flickr. And be sure to visit Kelli, Sarah and Shana’s sites for their posts during this time as well! Have fun! I can’t wait to see what you all come up with.